With Halloween right around the corner, if you still didn’t have a plan yet, you should check this out. 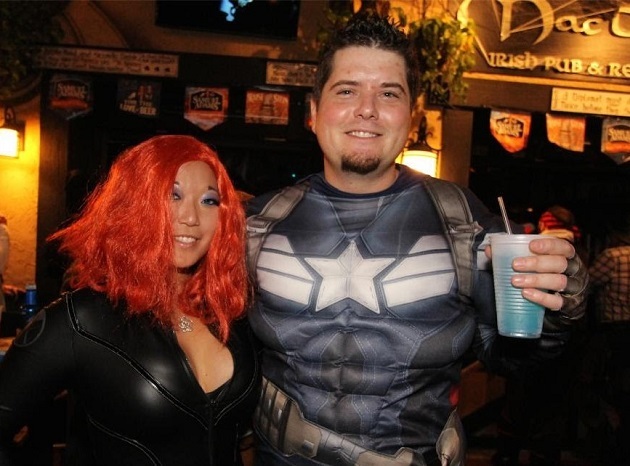 This Saturday, October 27 in Downtown St. Pete, three parties held by MacDinton's St Pete, Yard of Ale St Pete, and 260 First, it will give you an unforgettable night with their Comic & Cosplay Halloween party. Also, there will be a costume contest, therefore; don’t forget to dress up as your favorite superhero, movie character, fictional character or ALTER-EGO for your chance to win $2,000 in cash, and prizes up for grabs plenty of drink specials! Last but certainly not least, music is one of the most important things to a party, there will be DJs in every venue, hosted by DJ Ekin and Sandy Carmin w/ Spindiana Jones, and DJ Jaime Ferreira, spinning the nest in Top 40 and Dance Music. 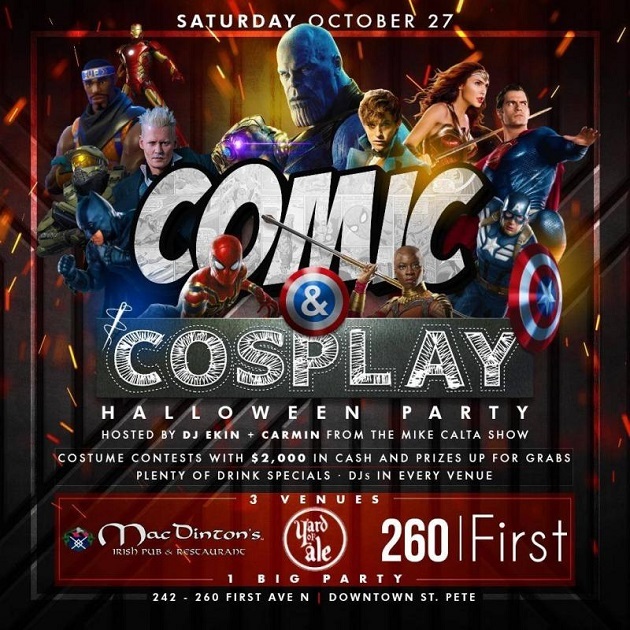 It's a night of Halloween events in Tampa starting with MacDinton's Comic & Cosplay Halloween party in Downtown St Pete!